Mobility demand in Auckland has been growing at a fast rate; traffic volumes are increasing significantly and peak periods are becoming longer. The level of congestion is affected by growth in mobility demand. Significant infrastructure developments are in place or planned to address anticipated levels of increased travel demand. Deployment of new infrastructure is always associated with impacts, implications and significant cost, and consequently has limitations. 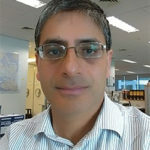 Dr Ranjan Pant, Principal Optimisation Engineer, New Zealand Transport Agency analyses how introduction of semester ticket systems can make an impact on its socioeconomic system in Auckland which is the largest city in New Zealand; it has around 33.4 percent of total national population. The city centres are the most frequented origins and destinations in the region, generating a high number of passenger trips. Auckland does not generate sufficient passenger numbers using public transport to provide significant relief to the road network. Large expenditure on public transport services and infrastructure is not justified. A broad range of public transport optimisation initiatives is required for this region. In the past, no comprehensive innovative analysis and works have been carried out to investigate how the behaviour of the road users can be changed so that they become public transport users. Many people have a preconceived belief that the public transport system will not meet their needs. This demonstrates there is a lot of work required to achieve the vision of NZ Transport Agency and Auckland Council (Auckland Transport) to fulfil the Government Policy Statement (GPS). Currently there are approximately 912,869 cars (March 2016) registered in Auckland. This is around 51,000 more cars than in the same month previous year, an increase of 5.9 percent in one year further reinforcing many Aucklander’s belief that that the public transport system will not meet their needs. Every year there is a significant increase in vehicle kilometres travelled in Auckland. An analysis has shown that the total motorway demand in terms of kilometre travelled per day increased by 4.2 percent in 2015. This is a higher rate of growth than has been experienced in almost a decade and coincides with strengthening economic conditions in Auckland and New Zealand. This growth continues to align consistently with the growth in regional car registrations, and is reflected in continued increases in the overall level of congestion (average travel time per km). The travel time buffer index (ratio of difference between 95th percentile and average to the average) of more than half of the main corridors/routes in Auckland during peak hours has grown from 75% to 226% (Nov 2015). This is a clear indication of unstable and unpredictable network performance during the peak hours. Public transport is being promoted as a viable alternative to the private car. However, attracting new passengers to public transport has had limited success in the past. This is a global challenge to motivate the road user to switch to public transport. Most European cities, that are comparable to Auckland in size, have undertaken several innovative measures to increase the public transport use. Auckland has a typical geographical character and different type of city from a demographic distribution and diversity prospective. Therefore, the trip generation, distribution and mode choice character of Auckland cannot easily be compared to other cities. The initial level of investigation and analysis assists Auckland as well as at the international level to identify that a small change in the public transport system can play a vital role as an alternative means of transport. Constructing and building new rail lines or bus lanes can only attract a limited number of additional passengers. A simple idea is to improve the average user experience and increase public transport passenger numbers. This concept is based on European practice which showed that if the public transport user numbers increase, other infrastructure improvements will follow automatically to provide for the increase in passengers. This, in turn, increases the number of passengers due a change in mind-set toward public transport as a viable alternative to the private car. The new idea is to implement a ‘semester ticket” in public transport for all students. There are several universities and public and private higher and vocational educational institutes in Auckland. In this system all students will get semester tickets, if they are enrolled in any educational institute. The price of the “semester ticket” will be combined with the enrolment fee of the educational institute, so that students do not pay any extra cost when they use public transport. The semester ticket will be valid for all public transport across Auckland. Auckland public transport has recently introduced a modern ticketing system, which is a fully integrated e-card system. This is a modern scalable system. Therefore, the semester ticket can be implemented in Auckland without any complex alteration of the existing system.